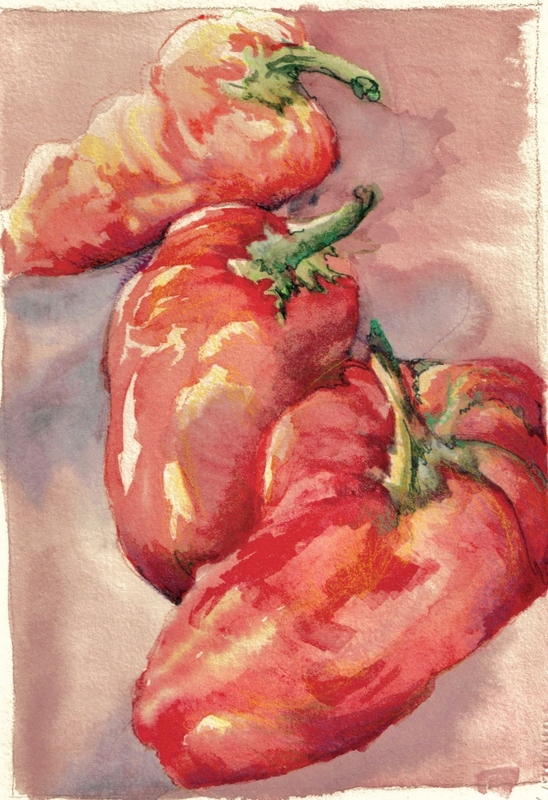 This is a piece depicting chili peppers used to demonstrate to my drawing students how watercolor can support drawing. I added pen and ink and pastel to refine the details and add intensity. I particularly enjoy the looseness of the wash with the clarity of the pen and pastel. You are currently reading Using Watercolor to add Intensity to your Drawing at Dr. Mary McNaughton and Drawing.